Synopsis: When the body of a teenaged girl is found, the suspicion immediately falls on Magnus Tait, a strange and lonely old man. But as Jimmy Perez investigates, he finds that many Shetlanders have secrets they would like to protect. Time on Shelf: About five years. I was going to start reading this series but then the TV series with Douglas Henshall started and I watched them instead. I wanted to put some space between myself and the TV program before I read them. I was looking forward to this after the slog that was June’s book (The Well of Loneliness) and it certainly didn’t disappoint. The story is sharp and the characters are well drawn and convincing. Unfortunately, I could remember who the killer was as it had been a surprise when I watched it on the TV. 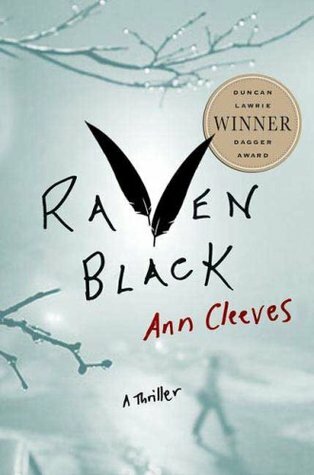 However, that is not Cleeves’ fault and I tried not to let it spoil my enjoyment. The main thing that I found difficult was that I kept picturing Henshall when really, he didn’t fit the physical description in the book. (I’m sure it’s just a jarring for readers who see John Hannah play Rebus and then decide to read the books. It’s hard to shake off the TV image.) However, he did seem to capture the personality well. Perez was just what I like in a policeman, a little bit of an outsider, not an easy man to love but tenacious and determined to get to the bottom of the problem. The death of Catherine Ross triggers a series of events that reminds Shetland residents of the death of an earlier child, Catriona. Magnus Tait was the main suspect then as well. Perez has to fight against the urge of other officers to simply accept the old man as suspect and close the case. Of course, nothing is ever simple in a detective novel and although there are a number of times when it seems it might have been Tait, the final answer is a lot more satisfying and complicated then that. I was keen to read this and the pages turned fairly quickly. However, for all the quotes on the front and back cover claiming that this is a ground breaking detective novel, I didn’t think it did anything particularly different. However, this novel is almost 10 years old and it may be that it was more exceptional at the time. Certainly, it barely put a foot wrong in keeping its audience guessing and I will definitely read the next book in the series.